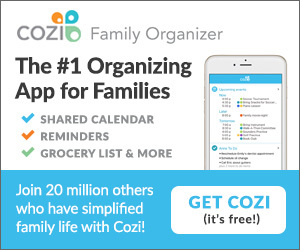 My busy family of six uses COZI to keep on track. We would be lost without its Calendar, Shopping Lists, and To-Do Lists. The best part is that it's FREE. You can READ MY POST ABOUT IT HERE. To find the Easter Seals nearest you, click Connect Locally and enter your zip code. This takes you to their page containing links to all their thrift store websites around the US. This will take you to their Assistance/Services page. There is information on how to volunteer, links to all of their locations' websites, and a thrift store locator. SAFE is a nonprofit run by volunteers who take in stuffed animals, blankets, books, children's clothes, and baby items. They then give them to other organizations who use them for kids in traumatic or emotional situations.